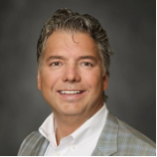 SAN CLEMENTE, CA, MAY 2, 2018 – As of April 2018, Robert Chiti, the Founder & CEO of OpenTech Alliance, Inc., a leading supplier of self storage technology solutions, has now stepped into the Chairman of the Board role at Charity Storage. Robert also sits on the Board of Directors of Storage Treasures LLC, and is the Chairman of the Board of the California Self Storage Association. He served on the National Self Storage AssociationBoard from 2014 – 2016, has published many articles and presents regularly at industry events. We are deeply grateful to Lance Watkins for his inspiring leadership as Founder and Charmian. Lance, who conceptualized and established Charity Storage with Barry Hoeven (US Storage Centers & Westport Properties), remains on the Board. As Founder & Chairman, he has been instrumental in Charity Storage’s continuing success and remains dedicated to our mission of giving back to the communities we serve. Lance is also a StorageTreasures.com Board Member, the Founder & CEO of Storage Outlet and the CEO of Storelocal. Current Board Members also include Lisa Barth-Chiappetta (Barth Storage), Shelby Beck (Extra Self Storage & NVSSA BOD), Anne Mari DeCoster (Exec. Director AZSA), Troy Downing (CEO AC Self Storage & Managing Member of SAGE Insurance Services), Jamey Fawcett (President & COO of Accent Building Restoration-ABR), Chuck Gordon (CEO SpareFoot.com), Sue Haviland (Haviland Storage Services), Nancy Martin-Wagner (VP Marketing at Chateau Products & Chair of the SSAF BOG), Asad Rahman (Founder of Project Enlighten). We could not achieve our goals without the Board’s dedication and commitment. We owe them a debt of gratitude for their time and efforts on behalf of Charity Storage. In the past year, OpenTech Alliance and Storage Treasures have devoted significant funds, time and resources to strengthen the existing Charity Storage technical and administrative processes. They have streamlined the accounting by collecting 100% of the online Storage Treasures auction hammer price at auction close. They have also provided invaluable tax, legal and technical assistance. The new Charity Storage website, with a simplified interface and increased functionality, will be rolled out in May. 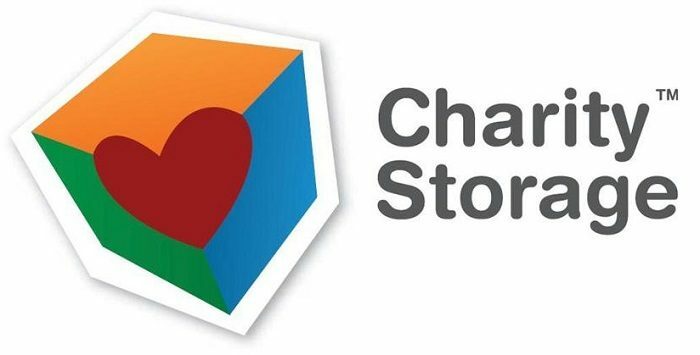 This extensive investment in infrastructure has enabled Charity Storage to continue to expand and increase the amount raised for charities, which, ultimately, is the sole objective. Prior to the increased involvement of OpenTech Alliance and Storage Treasures, Westport Properties and US Storage Centers have been the bedrock of support by helping to underwrite administrative and marketing costs, providing office space and much more. USSC/Westport are also one of our wonderful Angel Sponsors, who give financial and in-kind support in excess of $10,000 yearly. Their generous contributions allow Charity Storage to give 90% of all auction proceeds to other charities. USSC not only participates in our program, but consistently generates the highest auction totals. We are grateful for their commitment to the Charity Storage Giving Back Program and to continuing Barry’s Legacy!